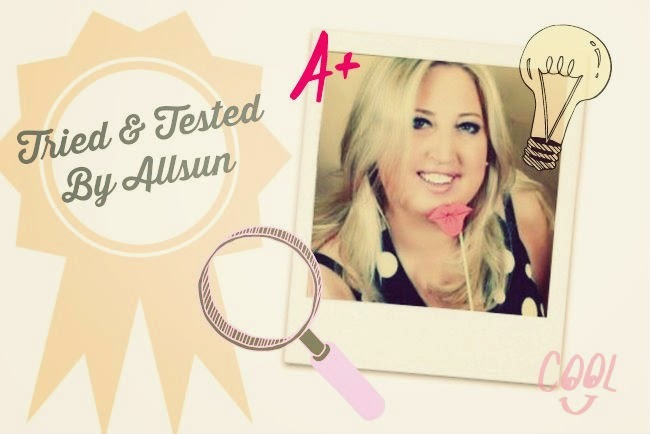 Allsun's got her white coat on again as she scientifically* tries and tests the latest products from Irish tan brand Cocoa Brown. For more on the range, check out her last review or watch my video on Irish beauty products to watch. I love having a healthy bronzed complexion, but sunbathing to get this look is no longer something I want to put my skin through. High sun factor is now a staple in my skincare routine. So I was thrilled to get my hands on the Cocoa Brown's new darker shade 1 Hour Tan Mousse. With its promise to give any pasty Irish complexion a lovely tanned look - without having to apply layers and layers of fake tan - this was definitely a challenge I was looking forward to. But to be honest, achieving a bronzed glow in just one hour sounded too good to be true. To give it a thorough test I painstakingly followed the instructions on the bottle. After exfoliating three days before with Cocoa Brown's Tough Stuff scrub, and moisturing with the brand's Chocolate Whip oil-free moisturiser, I was ready to go. When I pumped some of the mousse onto a tanning mitt I could see that the darker colour helps with application - you can see exactly where it's going on your skin. I gently rubbed the mouse all over and made sure it was well buffed in. Initial thoughts? The tan rubbed in very easily with zero streaking. It dried quickly, which was fantastic, but the darker colour was a little bit scary; I did think 'whoops! I'm going to end up with an unnaturally dark tan'. So I made sure to follow the instructions to the tee and hopped in the shower exactly one hour after applying the product. To my relief, as I was showering, I could see a lot of the product was washing down the drain. After getting out of the shower I was happy with my golden brown glow, but for a deeper tan, I'd recommend two hours development time. A final note: take it from me that there's absolutely NO lingering fake tan odour; this is probably one of the only fake tanning brands I've tried that smells great! I'm delighted with Cocoa Brown Dark Tan and can totally understand why it is flying off the shelves. For the price of €7.99 in Penneys it's an absolute steal. Go forth, buy and be bronzed! *No science was involved in the making of this review.